Yesterday was the Summer Solstice. Here in Britain the weather marked the occassion by soaking the assorted new agers, Druids and general mystics who turned up to celebrate at Stonehenge. The newspapers in turn celebrated the god of cliche by saying that their spirit was undaunted by the weather. Whatever, it was good to see so many people turning out. The Summer Solstice shouts out to be marked in the calendar by some kind of festival. The days have now got as long as they are going to get and will start getting shorter, reminding us to enjoy the summer while it is still here. The very existence of Stonehenge and many other stone age monuments across Europe all aligned with the rising Sun on this day, are testament to the days when this interesting astronomical event was indeed a time for celebration. We don’t know what form these ceremonies took. This gives the modern day celebrants carte blanche to create their own, but it is a poor substitute for a centuries old tradition handed down over the generations. I always think that it is a day that cries out to be marked as special in some way. 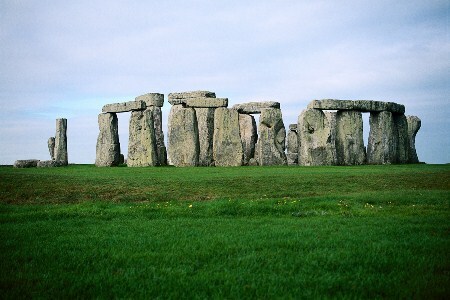 Although I am not really the alternative culture type, I intend to go one year to see the Sun rise at Stonehenge. And I will be glad that I can be sure to be in good company. It doesn’t seem to be something that should be solitary. Far from it, it should be an international event across the northern hemisphere, linking all the people to their common shared heritage. It could be a truly unifying experience. You have the strands of community, religion and science – which after all started with the astronomical observations at ancient temples – which could all be woven together to create a shared experience for millions. Sadly, that isn’t how it has panned out. And we have lost something that I think could have been truly precious.